Employer-sponsored dental insurance can play an integral part in your employees' health. 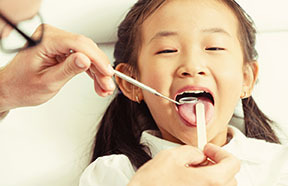 Regular dental exams detect issues before they become big problems. Dentists gain insight into patients' overall health by looking at the health of the mouth, teeth and gums. In addition, dental problems also can affect overall health. Cardiovascular disease – While some researchers debate whether poor oral health can actually lead to heart disease, studies show that inflammation and infections caused by oral bacteria might be a factor in heart disease, clogged arteries and stroke. Endocarditis – Endocarditis is an infection of the inner lining of the heart and occurs when bacteria or other germs from one part of the body, including the mouth, spread through your bloodstream and attach to damaged areas in the heart. Glaucoma – Glaucoma occurs when normal fluid in the eye doesn't drain properly. This creates pressure that damages the optic nerve, resulting in sight loss. Although there are a number of reasons why glaucoma occurs, including age, family history, racial background and medical conditions, such as diabetes, some researchers believe oral infections might trigger a series of events where the bacteria from an inflamed tooth or gums spreads to the optic nerve. Periodontitis – Periodontitis is a severe form of gum disease and has been linked to premature birth and low birth weight, as well as increased risk for heart disease and diabetes. Preferred Provider Organization (PPO) plans require members to see dentists who are in-network to get discounts. They often are able to choose an out-of-network dentist, but their out-of-pocket costs may be higher. This is the most common type of dental insurance and often is referred to as "100-80-50" coverage. That means that the plan covers up to 100 percent of fees for cleanings and normal preventive care and usually up to 80 percent of the costs for basic services, such as restorative care like fillings and simple procedures. Coverage includes up to 50 percent of dental fees for major procedures like crowns and reconstructive bridges. Dental health maintenance organizations (DHMO) utilize a group of dental professionals who provide care for a more affordable premium. Group dental plans are similar to a membership buyers' club. For a small annual fee, members have access to a network of dentists offering reduced fees. The Small Business Administration offers qualifying companies (25 or fewer full-time employees and average annual wages under $50,000) a small business tax credit when they pay 50 percent or more toward employees' self-only health insurance premiums. While this discount does not apply to dental insurance, it may free up funds so employers may offer other benefits like Dental, Vision or Life insurance.